Spotted this cover today. 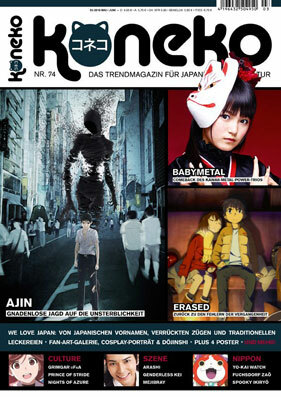 German publication Koneko (issue) 74. Japanese culture is strong enough in the West to inspire magazines to be created (I have seen others as well). This one was published around the time of the release of “Metal Resistance” in 2016. Su-metal can be seen on the cover and I think Babymetal had a poster or two in this issue. I like the logo of this magazine. 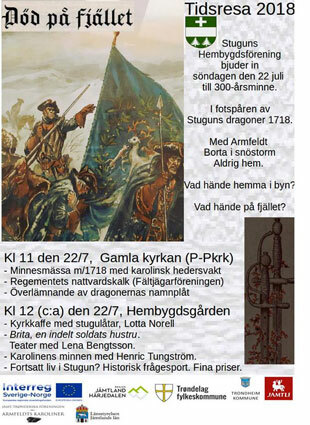 Still, wonderful to see that things like this is going on in Stugun. Here is some real culture for you. 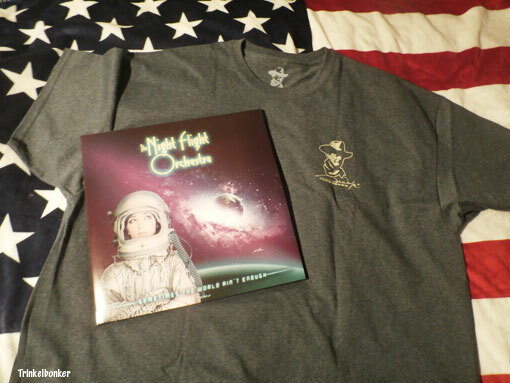 Got the new Double Picture Vinyl version of the new album from The Night Flight Orchestra (“Sometimes The World Ain´t Enough”) in the mail and later tonight I got a visit from my friend Kalle that has just arrived home to Sweden from having spent a couple of weeks in the States. 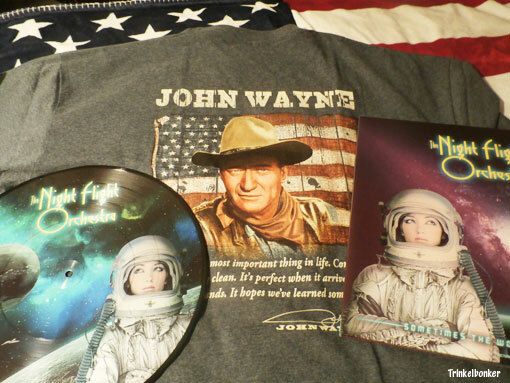 Got some nice stuff (that is just the way he is), including this ultra cool John Wayne t-shirt. On the back he is quoted and it says: “Tomorrow is the most important thing in life. 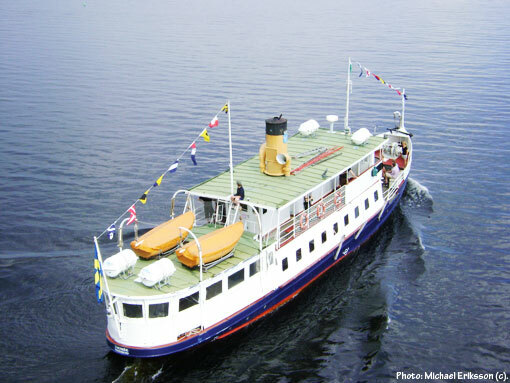 Comes into us at midnight very clean. 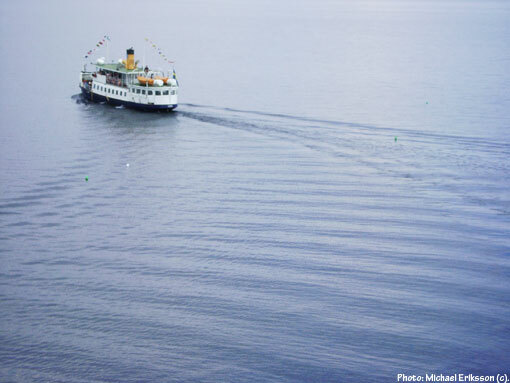 It´s perfect when it arrives and puts itself into our hands. 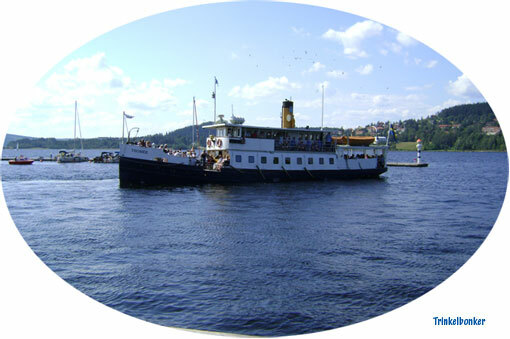 It hopes we´ve learned something from yesterday”. I like it when bands get their own beer, it is a sign of creativity and joy. 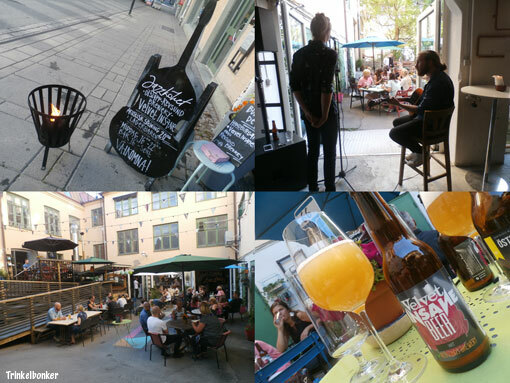 Today I checked out a local act from Östersund (Jämtland County) called Velvet Insane as a couple of guys (and a nice female singer that guested on a couple of tracks) from the band introduced their own brand with an acoustic performance at a splendid establishment called Jazzköket. 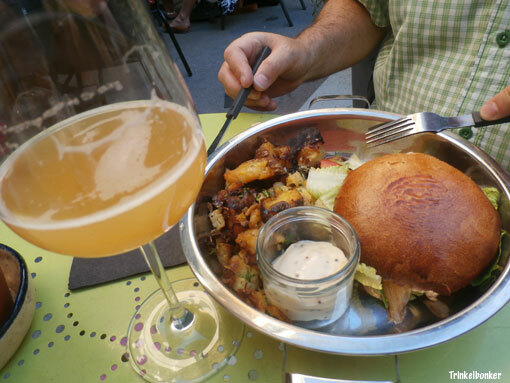 It was basically promoted through Facebook and it was kind of low key, but the beer is available now at Jazzköket and I think that is pretty cool. Here is a few shots from the launch. 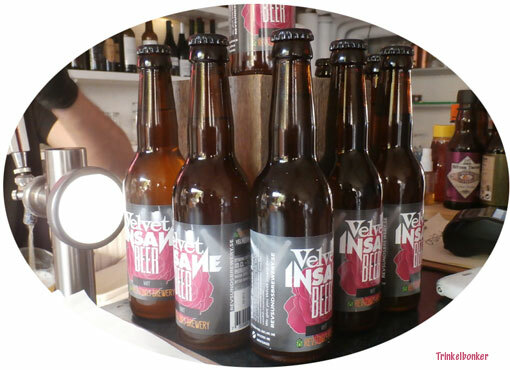 Velvet Insane has toured in places like Japan, Australia, Spain and the UK. They have an album coming up in September and dates in Australia is in the cards. 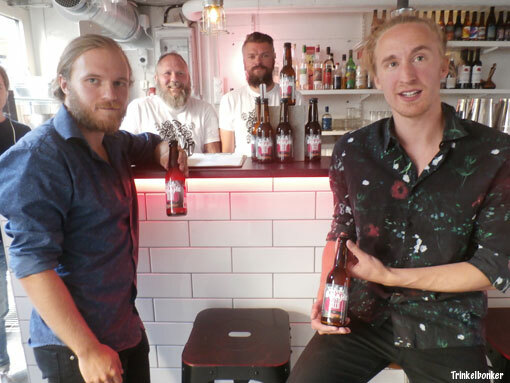 Here is guitarist Jesper Lindgren and singer Jonas Eriksson with a couple of guys from Revsunds Brewery. The Kawaii Metal hit “Gimme Chocolate! !” is still moving fast on YouTube and that is a good thing if you are Babymetal. It just passed 90,000,000 views and if you look back it was at 80,000,000 on December 8 and at 70,000,000 on April 21 (also in 2017). It was added to the official Babymetal page on January 25 2014, just prior to the release of the first (self titled) album. The video took off almost immidiately. At the time, several western bands and artists were already aware of who they were (including Metallica) and Ozzy Osbourne did see them at the Budokan in early March that year. Within months they were doing gigs Stateside with Lady Gaga and they hit Europe for the first time as well that summer (conquering at Sonisphere in the UK). But it all begun for real with the runaway hit that is “Gimme Chocolate! !” although it was not their first video. In fact the first album consists of songs that were recorded over a three year (on the plus side) period. It is still a masterpiece but it can also almost be seen as a Best Of 2010-2013 release. 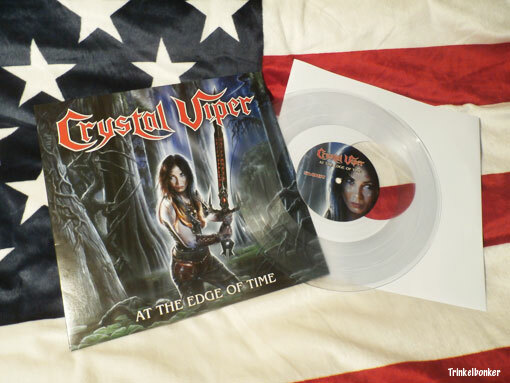 Got the Limited Edition (500 copies) Crystal Viper five track Vinyl EP “At The Edge Of Time” delivered today. Nice see through Vinyl.